Jay Wright received a phone call from President Obama. Jay Wright, the head coach of the National Champion Villanova Wildcats, received a phone call Wednesday morning. On the other end of the line was President Barack Obama. "It was cool," Wright said. Obama was calling to congratulate the coach. Jay Wright received a phone call Wednesday morning from President Barack Obama who called to congratulate the coach. "He said the reason it was a great game, because Carolina didn't give it away, they played great, you played great. He said his daughters were rooting for Villanova because they went to school with Josh Hart in D.C. He invited to us to the White House. I told him my wife has a crush on him. He said make sure she comes, I want to take a picture with her. He obviously watched the game. He was very insightful about the game and very complimentary." This afternoon, the President called Villanova University Men's Basketball head coach Jay Wright to congratulate him and his team on their victory in the NCAA Men's College Basketball National Championship. The President noted that this win was the culmination of an impressive year for the team, and was a particularly exciting championship game. The President looks forward to welcoming the Wildcats to the White House to congratulate the entire team in person. 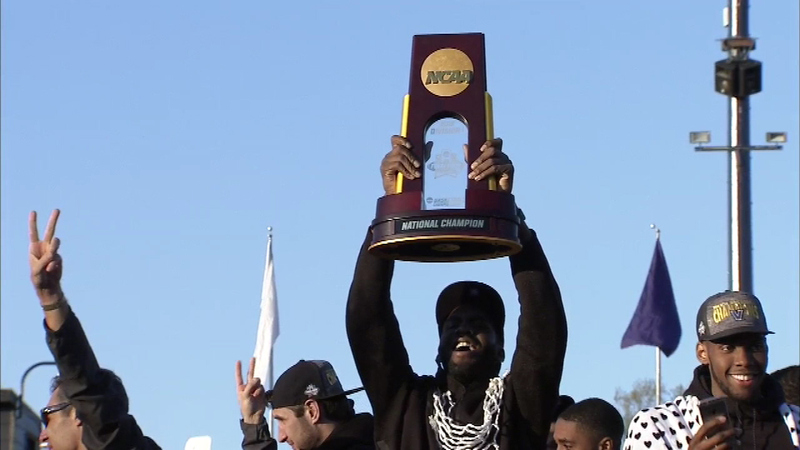 The Villanova Wildcats returned home Tuesday as National Champions. There will be a Championship Parade for the Wildcats in Center City on Friday.